This chapter focuses on imaging the child, adolescent, and adult presenting with lower extremity trauma from the hip to the toe, with specific attention on conditions that require imaging, as well as the most accepted imaging approach. Lower extremity injuries are common in patients of all ages, particularly in children who are active and involved in activities that place stress on their growing bones. Overuse injuries are far more common in the older child, adolescent, and young adult involved in organized athletic activities, particularly high-impact activities. Pediatric patients are at greater risk of overuse injuries compared to their adult counterparts because growing bones are relatively weak, particularly when the growth plates are unfused. There are a number of lower extremity injuries that are unique to children, which vary depending on the age of the patient and the mechanism of injury. 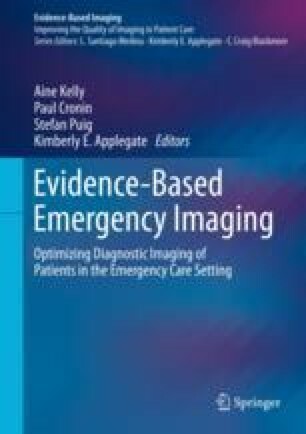 Since there are not (yet) enough studies to support specific imaging recommendations of lower extremity injuries in pediatric patients, this chapter will describe pediatric injuries in more detail while it will discuss injuries affecting adults and older children, for which evidence-based imaging guidelines are available, only briefly. Daffner RH, Weissman BN, Appel M, et al. ACR Appropriateness Criteria®. Stress (fatigue/insufficiency) fracture. http://www.acr.org.